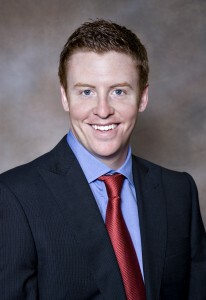 Drew works for HUB International Insurance and specializes in selling commercial property, liability, and workers compensation to businesses throughout the Northwest. In 2014, Drew became a Certified Insurance Counselor (CIC), passing five rigid exams and furthering his insurance knowledge. Topping his most recent accomplishments, Drew received a 2014 SHARP award from HUB International. This award is given to top sales people within the organization and Drew was 1 of 13 people to receive the award within their 5 state region. The insurance business has always been in Drew’s blood. From a very early age, his family owned a small insurance agency in Billings, eventually selling that agency to HUB in the early 2000s. Currently, Drew is volunteering on the board of the Billings Area Chapter of the MSU Alumni Foundation, where he helps his alma mater grow membership and support for their college in Billings. He is also a Billings Chamber Ambassador. In his spare time, he enjoys traveling with his wife, Emily, or spending time with family and friends on the golf course.